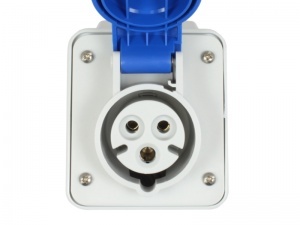 Surface mounted 240V 16A outlet to replicate a camp site mains hook-up connection. 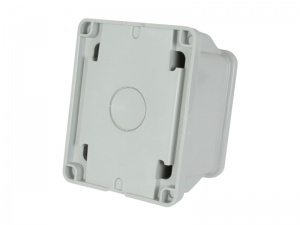 Typically installed on the side of your garage or house and used for plugging your campervan or motorhome in to with an extension lead to keep batteries charged, fridge operating etc. whilst in storage. 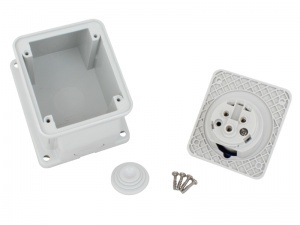 Cable entry points are on the top, bottom and rear and a cable grommet and fixings are included. 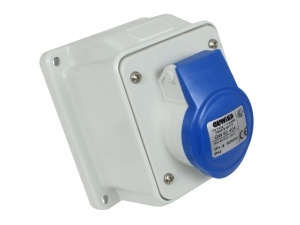 Note: This item requires wiring into your mains electricity supply. If in doubt, consult a qualified electrician.